2008, red and yellow cedar. people. 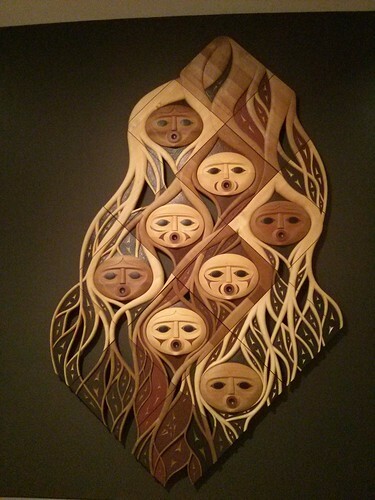 Red cedar has always been consider the "tree of life" for coastal peoples. 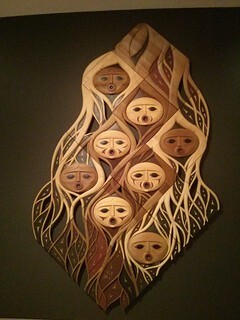 Here, Point carves eight faces connected by root like forms that reference shared genealogies of Fraser River inhabitants and the importance of inherited histories that unite Coast Salish people. The sinuous forms also allude to the fjord-like features of the Fraser Delta and the rich vegetation at water's edge."